Blog about server status here. 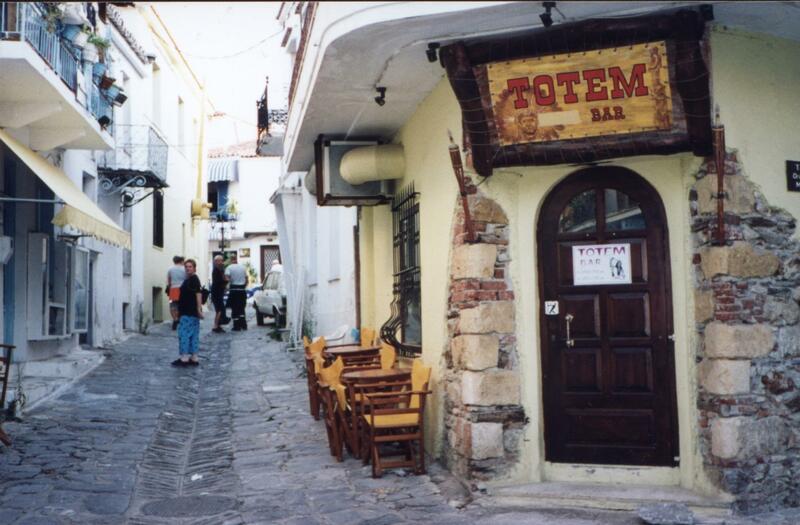 A picture of Totem Bar can be seen here. Taken by Petter Nordby at Skiathos in Greece. Using multiple connections to leech from this system or otherwise spend an unfair amount of its bandwidth will get you blocked IP wise. Promote free UNIX operating systems and software. Support the FIX BBS, and its users. Learn as much as possible about sysadmining and programming UNIX systems. Provide flexible, efficient, stable and reliable UNIX & Internet services for friends and acquaintances. People should learn what technology to trust and use. Provide services promoting Commodore Amiga and C= 64 computers and/or software, mainly for nostalgic purposes. The current hardware setup, and its history (with pictures). Mailinglists. Send a mail to majordomo AT totem.fix.no with "help" (to get help) and/or "lists" (to see what lists are available to you) in the body. Mirrors & stuff (accessible through FTP and HTTP). You'll find HVSIDS (The prime time C64 SID tune collection), epic (the superior IRC client), my collection of modules/scene-graphics from the Amiga-scene, Postfix and other things there. Web sites hosted: aqpop.fupp.net, www.haramfusionfactory.com. Web site mirrors: www.postfix.org, Putty.